Android lollipop is one of the most trending topic of these days and most of the android device are getting the latest Android 5.0.2 lollipop update. While some of the android users are waiting for the update. 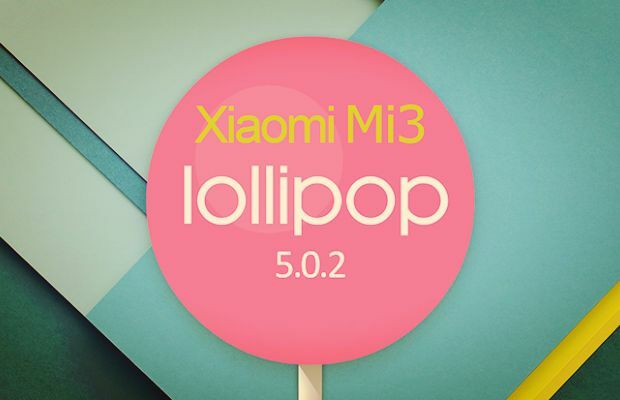 If you are the Owners of Xiaomi Mi3, I have great news for you, now you can enjoy the latest Android 5.0.2 CM 12 ROM on your phone and experience the lollipop on your phone. XDA Forum member kD have successfully ported an almost stable working version of the latest Android Lollipop 5.0.2 the smartphone. The ROM has some bugs like Bluetooth connectivity, NFC, camcorder and USB-OTG. If you still want to test the Android 5.0.2 CM 12 on Xiaomi Mi3, here is the complete guide which you can follow on your phone and update the same with lollipop. Read all the instuction very carefully and follow all the below mention step one by one. Step 7. Now go back and Select ‘Install Zip’ and Select ‘choose zip from /sdcard’, then 0/ and then choose the ‘CM 12 ROM Zip File’ file. Step 8. Now install Google Apps for Android 5.0 (GAPPS), Go back and install the ‘Gapps Zip Package’. First reboot will take some time and if you are stuck on the Loo screen then switch you phone and power on again. Now you phone is running on the Android 5.0 CM 12 Lollipop. Hi, I am using cm 11 and miui6dev on my mi3 duel boot. How i can install lolipop cm12 on my phone? I can’t manage to get the play store apart from the camera and gmail using the GAPPS you listed. Is there any work around to install the required files?